Matthew Lee Rosen is a creative thinker and innovator with passions for sports, art, and graphic design. 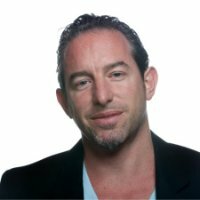 While his career holds so many facets, Matthew Rosen is best known for his expertise as a presentation specialist with his design and event production company, fortheartofit. With fortheartofit, Matt Rosen has offered services including web design, print work, graphics operation, advertising, apparel design and more to help produce corporate events in a variety of settings and industries all across the globe. As an independent contractor, he has worked with a diverse group of government leaders, top executives, motivational speakers, and other industry leaders, providing resources and support for these individuals to confidently speak in front of large audiences. When he is not traveling to event sites with fortheartofit, Matthew Lee Rosen is typically working on other personal creative projects. His love for art, sports, and design have led him to build two unique companies and product ideas: Fantag and BeerTAG. With a love for sports and design, Matthew Lee Rosen decided to start making his own clothing when he couldn’t find the apparel he wanted to wear already on the market. After designing several shirts for himself and receiving positive feedback from others, he decided to create an online apparel brand called Fantag. Fantag became the first fantasy sports apparel line creating fun to wear designs on thousands of t-shirts, tank tops, hoodies, sweatshirts, and baseball caps. Always thinking and developing solutions to common problems, Matthew Lee Rosen pondered the question of how to keep track of which beer was yours at a party or social event. It can be easy to mix up beers and beverages when everyone is hanging around and having fun. Because of this, Matthew Rosen developed a product allowing individuals to easily identify their beers and separate them from others. The BeerTAG bottle marker is a small sleeve that fits around the neck of a bottle, available in a wide variety of colors and designs so that each person has their own easily identifiable beer tag. Outside of his professional career, Matthew Lee Rosen enjoys living life to the fullest and experiencing the world. He enjoys attending sporting events, traveling, and finding art in everything he sees and does. Everything he does, he does for the art of it.